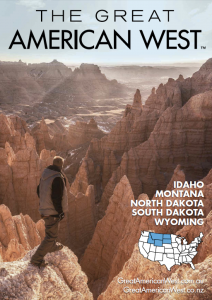 The Great American West region is tailor made for outdoor adventure. 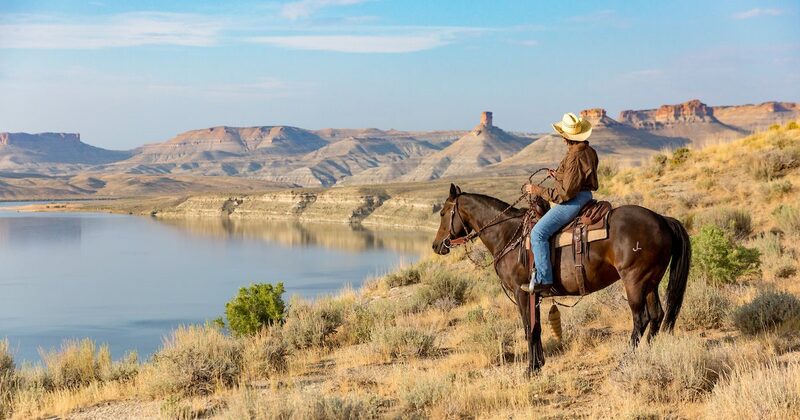 From mountain climbing and downhill skiing to fishing, hunting, horseback riding and more, the Great American West states offer countless ways to live life without limits. Backpack through South Dakota’s Badlands National Park, hike the towering peaks of Wyoming’s Grand Teton National Park, cast a line in Montana’s Gallatin River, bike North Dakota’s Maah Daah Hey Trail, or sandboard across Idaho’s Bruneau Dunes State Park. 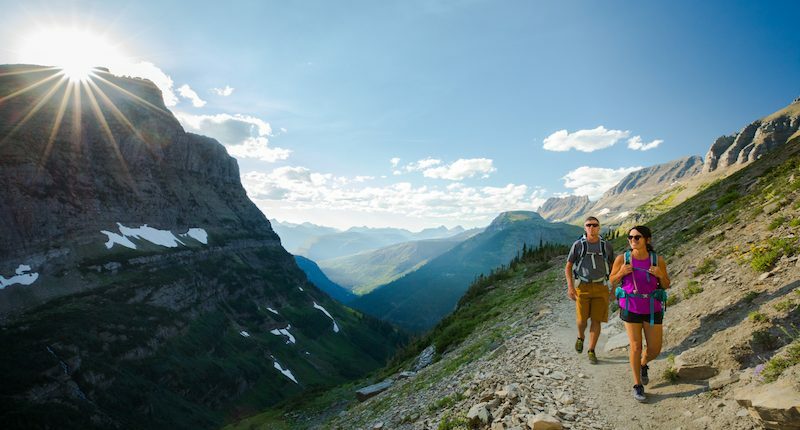 Hiking, walks or backpacking – it’s the best way for people of all ages to experience nature up close and enjoy some of the most beautiful wilderness and wide variety of recreational and historic trails that criss-cross the Great American West states. It’s said if all of Idaho’s mountains were flattened, the state would be the size of Texas. So much land mass in the mountains accounts for over 19,000 miles of generous hiking and backpacking trails to suit any environment, length or difficulty. From lake views and river paths to high desert canyons and towering rock formations, you’ll find the ideal path for your next adventure. For more information, visit www.VisitIdaho.org. Between the Black Hills in the west and the eastern slopes & prairies sits a state full of unique hiking opportunities. Varied landscapes mean that South Dakota has a place for whatever adventure you’re seeking. The entire Black Hills are considered sacred by Native Americans, but few sites within those hills are as beautiful and significant as Black Elk Peak. It is on this granite peak where a 9-year-old Black Elk experienced a famous vision, and where visitors today can hike to a stunning view of the entire forest. At 7,244 feet, the peak is the highest point in both South Dakota and in the United States east of the Rockies. There are a number of trails visitors can take to the peak, including one that starts at Mount Rushmore National Memorial. No matter which trailhead you select, your journey will take you through pine trees and ancient geological formations to an apex of peace and beauty. In eastern South Dakota, unique hiking opportunities are abound. Visit the northern part of the state to experience Sica Hollow State Park. It’s a place that American Indians avoided centuries ago because iron deposits made the streams appear to be flowing “blood red” while phosphorous in the rotting tree stumps made the wood appear to glow with a greenish hue. The park is home to intrigue, beauty and adventure. It’s especially beautiful in the fall as the crunching of the fallen leaves mixes with the water’s flow. Some of the richest fossil beds and prehistoric sites are to be found throughout the Real America region. From footprints to bones to complete dinosaur skeletons, visitors can experience the distant paleontological treasures or dig for fossils themselves. Prehistoric horses roamed the Western plains, making Idaho now home to the richest deposit of horse fossils to connect the evolution of the prehistoric species to the modern horse. The fossil deposits, including the famous Hagerman Horse, are found at the Hagerman Fossil Beds National Monument. Additionally, the Hagerman Fossil Beds have over 200 different species of fossilized animals and plants, including a saber-toothed cat and a mastodon. For more information, visit www.VisitIdaho.org. Montana offers spectacular “hands on” archaeological, paleontological, and geological experiences. Can you dig it? (Yes in fact, you can, and we’ve got the folks to help you do it safely and legally. Visit ancient archaeological sites like First Peoples Buffalo Jump State Park or explore one of the finest palaeontology collections in North America at Museum of the Rockies. Thousands of years of evidence of prehistoric humans and animals are spread across the state of South Dakota and scientists are working to find and preserve that evidence. Some of the richest fossil beds and archaeological remnants are located in South Dakota, with a variety of museums and dig sites offering the opportunity to witness and experience the thrill of discovering evidence of times past. This thrill is best represented by the unearthing of “Sue,” the most complete Tyrannosaurus Rex that has ever been discovered. “Sue” was found near Faith, South Dakota, in 1990. The fossil’s permanent home is at The Field Museum in Chicago, Illinois. There, “Sue” continues to be studied by scientists and seen by the public. Long before fishermen, cowboys and even bison walked across Wyoming, the state was the stomping ground of countless dinosaurs. With an official state dinosaur — the triceratops — as well as a state fossil, Wyoming is thought to have one of the richest fossil records in the nation. Become awestruck by gargantuan dinosaur bones, mammal fossils and fossil footprints. Study fossils of extinct marine animals and learn about the time when a vast ocean covered Wyoming. Watch palaeontologists unearth and examine delicate dinosaur bones — or even dig one up yourself. Begin your tour of Wyoming’s prehistoric past in Thermopolis with a trip to the Wyoming Dinosaur Center. See 20 phenomenal full-size skeletons, learn from 200 interpretive exhibits and watch lab technicians prepare recently discovered fossils. The centre operates several active dig sites in the scenic hills nearby, where children and adults can play palaeontologist for a day by helping dig for bones. You can also get your hands dirty in the Glenrock Paleontological Museum laboratory. The Rocky Mountain states of Idaho, Montana, North Dakota, South Dakota and Wyoming are blessed with some of the most beautiful and pristine scenic areas in the country. For the hearty outdoor oriented visitor the desire to experience the basic beauty of the environment is best served by including camping as a vital part of an overall holiday! There’s always a camping or RV spot available in Idaho’s 30 state parks and 35 million acres of public lands. Whether you choose to pull up lakeside or tuck into Idaho’s national forests, the options are endless. Plan ahead to scope out the perfect spot to reserve or let a scenic and unexpected location surprise you at a walk-up campsite. If you’re not traveling via RV and primitive tent camping is not your bag, sleep in comfort at a cozy cabin, stylish yurt, panoramic fire lookout or authentic teepee for unique lodging to refresh yourself before the next day’s adventure. For more information, visit www.VisitIdaho.org. Wherever you are in Montana, there’s a place where you can pitch a tent, lay out your sleeping bag or park your rolling roost under the stars. You can dive as deep in the backcountry as your boots will take you, grill some grub with a view, or hop your way between unexpected campground luxuries like thermal pools, horseshoe pits, tepee rentals and quirky travellers’ libraries. Camping is an unforgettable experience in South Dakota, the land of Great Faces and Great Places. That’s because South Dakota’s varied landscape allows you to sleep under the stars of the windswept prairies, park your RV near the shores of the Missouri River, or rent a tipi in the ponderosa pine forests in the Black Hills. Campers have plenty of space to explore in Wyoming. There are fewer than five human residents per square mile, plus five national forests, more than 18 million acres of public land and numerous wilderness areas. So whether you camp on banks of a mountain stream, on the edge of a wildflower-filled meadow, on top of a rugged peak or if you’re taking an RV adventure to a state park, we have the ideal campground for you — just use the business listings below to find what you’re looking for, and keep in mind that while many campgrounds and RV parks are open year-round, some are closed during the winter months. Not sure quite where in Wyoming to set up camp? 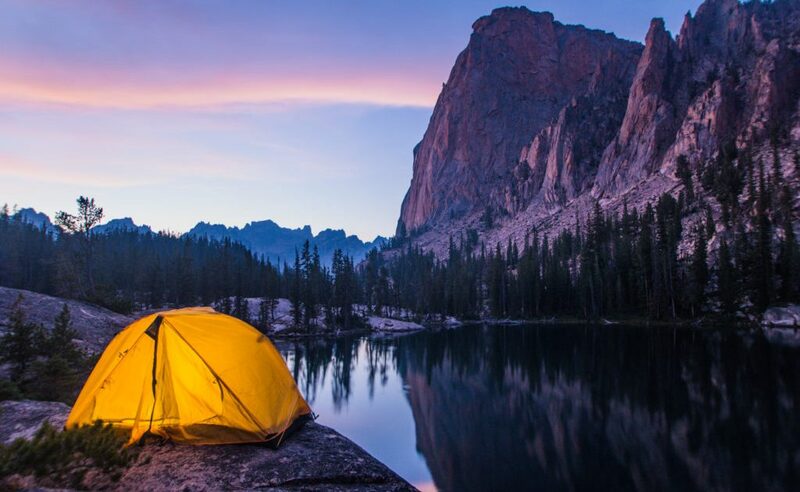 Anywhere you go, you’ll find plenty of camping opportunities, but keep in mind that Central Wyoming is full of family-friendly campgrounds that make great bases for exploring the many nearby recreational activities. Look near Alcova and Glendo for access to fishing, boating and swimming. Northeast Wyoming is perfect for sleeping under the stars near Devils Tower and the Black Hills. You’ll also find numerous campgrounds near Buffalo, Gillette, Sheridan and Newcastle that offer the chance to really get away from it all. Wake up to knockout views at campgrounds and RV parks all over Northwest Wyoming, such as near Jackson, Lander, Pinedale and Dubois— not to mention Yellowstone and Grand Teton National Parks — for adventures right outside your door. In Southeast Wyoming, stay near one of the region’s abundant rivers or reservoirs and you’ll earn a great chance to land the first catch of the day. Check out campgrounds near Laramie and Saratoga for all your adventures in the Snowies. In Southwest Wyoming, pitch your tent near the towering peaks of the Wind River Range, watch the sun set over the Red Desert or enjoy the early-morning glassy waters of Flaming Gorge National Recreation Area. 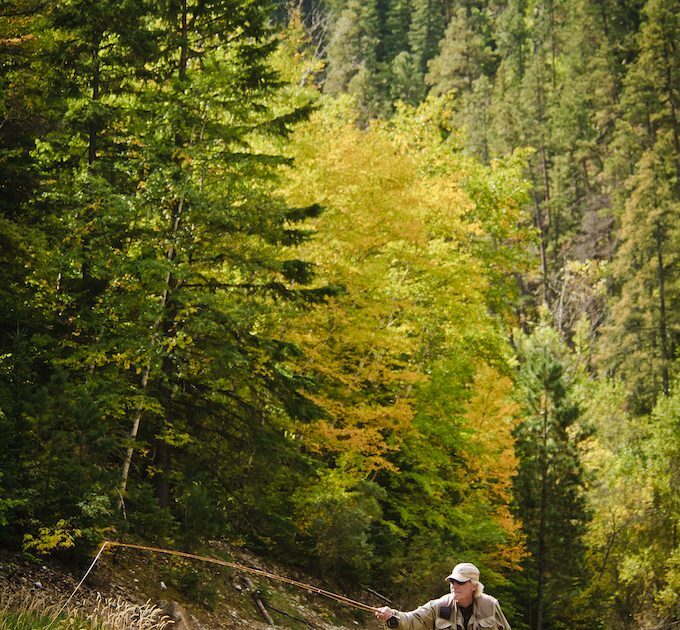 The best trout fishing in North America is contained within the region, with thousands of uncrowded lakes and streams and over 40 species of gamefish. Fishing (and catching) is easy in this region filled with clear streams, rivers and lakes famous for the variety of plentiful fish just waiting for expert anglers and eager beginners to cast their lines. 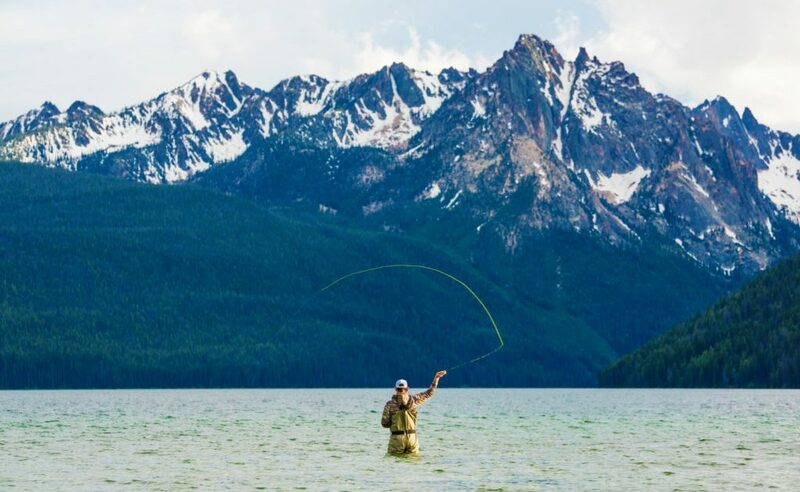 When you’re looking to make the catch of the day, Idaho is the perfect place to cast your line. With over 42 game fish species, including blue-ribbon trout, king salmon, giant white sturgeon and steelhead trout, Idaho is the only inland state in the western U.S. where you can catch this variety of prized fish. Exceptional fishing can be found throughout the state’s 26,000 miles of streams and rivers, but the waters of the southwest and east are hotspots for prime fishing holes. Choose your adventure: Kokanee salmon at Anderson Ranch Reservoir, blue-ribbon trout on the South Fork of the Snake River, one of the best steelhead streams in the Northwest on the Clearwater River or rainbow trout in Teton Valley. For more information, visit www.VisitIdaho.org. 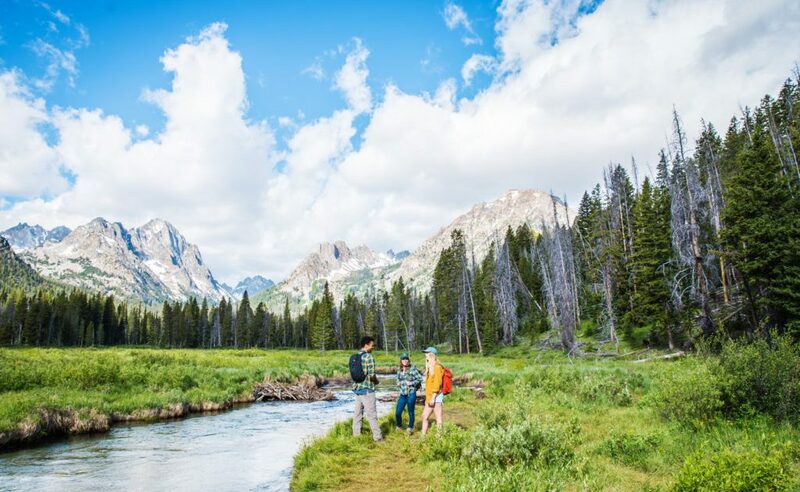 With 4,200 crystalline lakes sand 27,000 miles of blue-ribbon, fishable streams, Wyoming is the ultimate fishing and fly fishing destination. Expert anglers and eager beginners alike can find a fisherman’s dream along the clear waters scattered across the state. Wyoming embraces this gift, ensuring that capable guides and outfitters are as plentiful as the fish waiting to be caught. Yellowstone is perhaps the most famous fishing spot in the state, with anglers drawn by the legendary trout in its rivers. Brook trout, brown trout, rainbows and native cutthroat trout beckon to enthusiasts. Farther south, in Grand Teton National Park, others seek out the Snake River cutthroat, a colourful character found in its namesake river. In the fall, the spawning run of brown trout darkens the waters of the aptly named Miracle Mile in the North Platte River. Catch all four native subspecies of cutthroat and earn a Cutt-Slam certificate from Wyoming Game and Fish Department. 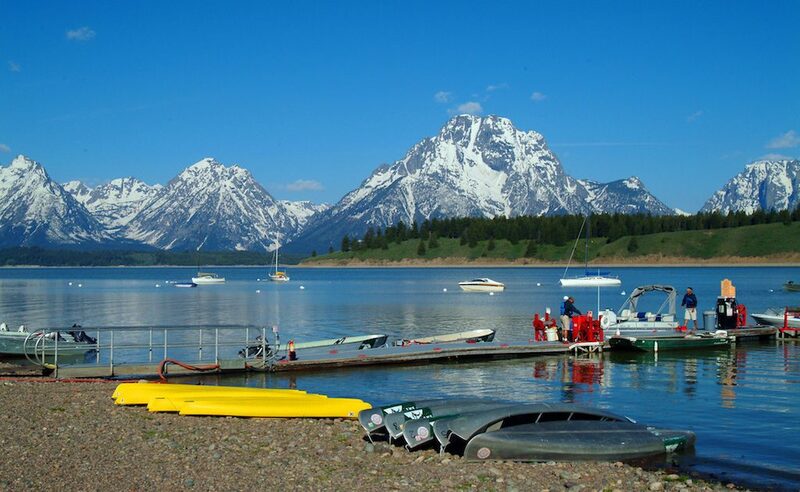 Although Wyoming is known as a mecca for trout, its waters teem with more than 22 species of game fish, including sunfish, crappie, yellow perch, whitefish, pike and sturgeon. Bass, walleye and catfish are plentiful in the state’s reservoirs such as Boysen and Flaming Gorge (where, by the way, a state-record 50-pound lake trout was caught). Fisher folk in search of salmon can check out Boulder and Fremont lakes, and high-country lakes such as Bradley, Jackson and Lake Solitude offer excellent big-fish opportunities. There are hundreds of excellent golf courses throughout the region, and golfers are constantly surprised at what they can find in places they never thought possible. They’re also surprised to find out that they can play golf on many courses six to seven months a year amid national parks and spectacular scenery. But in addition to the variety of courses throughout the region, there are world-class resort courses rated in Golf Digest’s “America’s 75 Best Resort Courses” as well as by the National Golf Foundation. From casual to competitive, pros and amateurs alike will find pristine courses, exceptional views and nearly year-round match play in Idaho. Coeur d’Alene Resort Golf Course is home to the world’s first floating and retractable green, and has been ranked the #2 resort golf course in the U.S. The world-class course at Jug Mountain Ranch in McCall was designed by celebrated architect Donald Knott, responsible for iconic courses like Spanish Bay at Pebble Beach and the National Golf Club of Australia. With over 100 golf courses in Idaho, you’re never far from your next round of 18. Coeur d’Alene, Sun Valley, Boise and Twin Falls are all top golf destinations. For more information, visit www.VisitIdaho.org. In Montana, the eagles on the golf courses are real. And so are the deer and the elk, but keep your mind on your game. Golfers can find birds of a different feather at more than 100 courses across the state. Some of the best courses in the country are found here, beginning with Bully Pulpit Golf Course in the Badlands near Medora and Hawktree Golf Club near Bismarck. Arnold Palmer designed King’s Walk at Grand Forks and The Links of North Dakota near Ray is a true links course on the shores of Lake Sakakawea. Swing away with a landmark view of Devils Tower from almost every tee box at the Golf Club at Devils Tower in Hulett. Find a taste of scenic Yellowstone country at several northwest Wyoming courses, like Tenton Pines and Jackson Hole Golf & Tennis. Play from the grasslands to the wetlands in one course at The Powder Horn Golf Club near Sheridan. Keep on eye out for Western wildlife, like bison, at Rochelle Ranch Golf Course in Rawlins. Work a history lesson into your round at Trail Ruts Golf Course in Guernsey, which is on the Oregon Trial and close to the State Historical Site. Scenic trails for cycling fun and mountains biking adventure for all levels abound throughout the region. There are serious road rides and leisurely family cycling outings and every variation in between through some of the most spectacular panoramas in the US. World-class mountain biking trails meet towering vistas In Idaho. From afternoon rides in the foothills north of Boise to day-long excursions winding through the wilderness, thousands of miles of biking trails in Idaho will fit any speed. Both Sun Valley and Boise were named part of America’s 20 Best Mountain Bike Towns by National Geographic. Soar among the trees on a sky-high trestle bridge and through train tunnels on an abandoned rail-bed on the Route of the Hiawatha mountain bike trail. Smooth singletrack snakes through the open forests and meadows at McCall’s Jug Mountain Ranch. Take your pick of three mountain ranges at Teton Valley Trails and Pathways. Circle the spectacular views of Redfish Lake on the edge of the Sawtooth Mountains. For more information, visit www.VisitIdaho.org. Whether you’re road cycling or mountain biking, you’ve come to the right place. Bicycling is a great way to see the outdoors, take in the fresh air, or simply get around town. With miles of open highway for the cross country riders and a full range of mountain trails for the adrenaline junkies, you’ll want to strap a rack or three to the bumper and point your vehicle towards cowboy country. The Great American West region is the home of Western culture at its most authentic. To experience it first-hand, a ranch holiday is an unforgettable must and there are ranches catering for all levels of riding and recreation for the whole family! Tap into the authentic western lifestyle and live the cowboy dream in the unspoiled backdrop of Idaho. With 12 guest ranches, you’ll find the perfect blend of hospitality and adventure. Guest ranch activities range from horseback riding and gold panning to fishing and rafting. No matter the itinerary, you’ll be in the perfect environment to unplug and connect with the land. Take the trail less traveled. Many working ranches throughout the state also offer guided horseback rides. Rides can range from a single day to a weeklong quest. For more information, visit www.VisitIdaho.org. Horseback rides, summer pack trips, hunting, fishing, and photo trips can be found in Big Sky Country in Montana. Many sites are located near some of the finest outdoor recreation areas in the state. The wide range of wilderness, natural landscapes and habitats makes this region one of America’s premier wildlife viewing areas and a haven for many different types of wildlife in both the many reserves and in their natural surroundings. Whether you detect a deer in the mountains, spot a soaring falcon or witness grizzly bears up close, Idaho is filled with incredible opportunities to watch wildlife and capture the perfect photo. Beyond surprise sightings in the wilderness, Idaho has some convenient resources for epic wildlife viewing. World Center for Birds of Prey in Boise gets you eye-to-eye (or nose-to-beak) with imposing raptors and condors. View the habitats of these fierce falcons and explore the center’s extensive archives on falconry – the largest English-language collection in the world. Head southeast to visit Yellowstone Bear World for viewing of wildlife iconic to the western U.S. The drive-through park includes access to a variety of species, including American black bears, grizzly bears, gray wolves, bison, moose, Rocky Mountain elk, whitetail deer, mule deer and Rocky Mountain goats. There’s even a petting zoo to make friends with some of the residents. For more information, visit www.VisitIdaho.org. Montana has a greater variety of wildlife than anywhere in the lower 48. 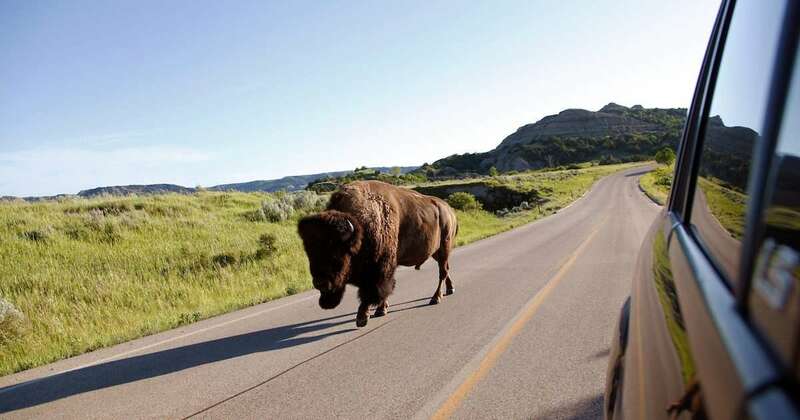 It’s easy to spot a bison on the road nearYellowstone National Park or a mountain goat on a hike in Glacier National Park. In the more remote parts of Montana, catch a glimpse of a grizzly bear or a wolverine. 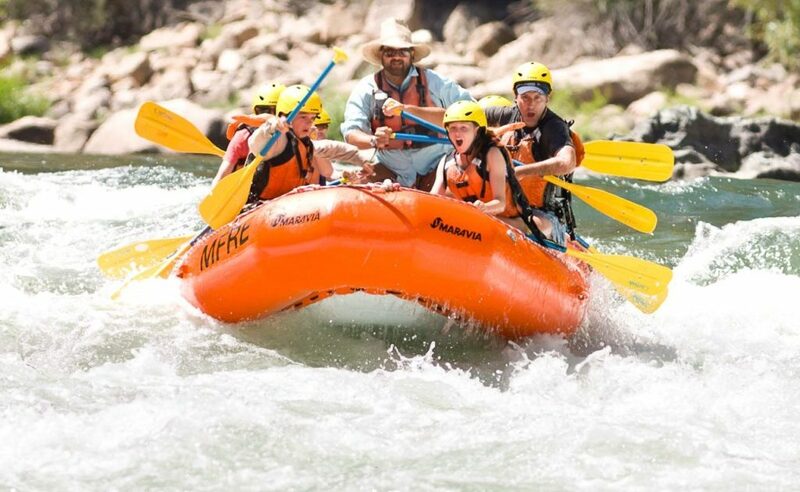 Pristine and scenic rivers and some of the most exciting whitewater rapids in the nation, flow through spectacular canyons and valleys in the Great American West states. Float, raft, canoe, kayak or jetboat the waterways and lakes – the experiences are limitless and the thrill will be unforgettable. For the best whitewater adventures in the United States, Idaho is ranked #1. From a half-day trip to epic week-long floats, you can spend as much time on the river as you like. Idaho takes river sports seriously and the state’s exceptional outfitters are known for hospitality and convenience. Carve the same path as the powerful Snake River and plunge into North America’s deepest river gorge, Hells Canyon. Take a short drive from Boise to paddle through the Payette River, with options ranging from thrilling Class IV rapids ideal for experts and adrenaline junkies to calmer Class II and III rapids for first-timers and families. 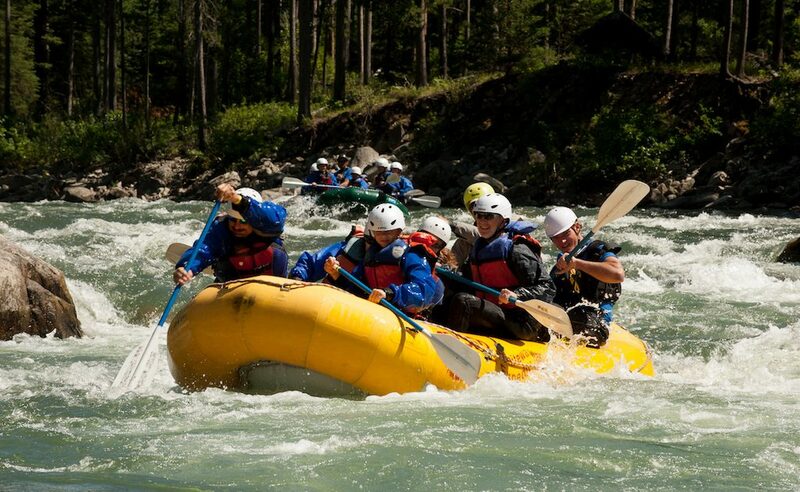 Technical rafters and boaters will appreciate the challenge of sailing through the Bitterroot Range of the Rocky Mountains on the Selway River, one of the highest quality whitewater rivers you can find. For more information, visit www.VisitIdaho.org. 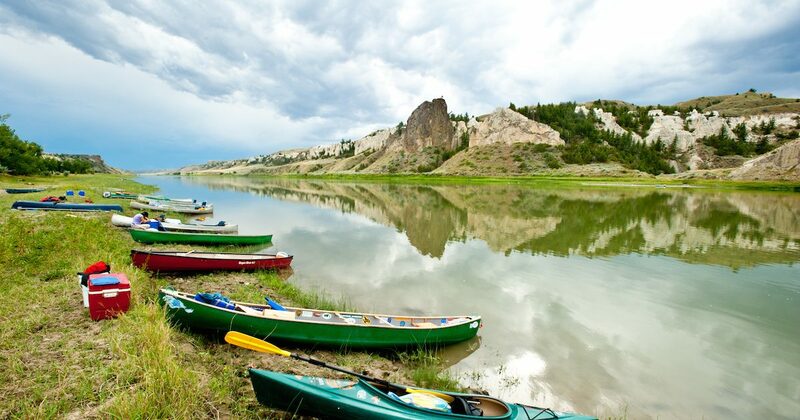 Running vertically through the middle of South Dakota, the Missouri River is a naturally beautiful attraction that offers boundless recreational opportunities. It served as part of the trail Meriwether Lewis and William Clark took as they explored the new territory, making history a vital part of the communities that line the river. In addition to historical attractions, visitors to the river take advantage of hiking, biking and camping, as well as water activities such as fishing, kayaking and skiing. Few truly wild places remain in this country – Custer State Park is one of them. Located in the Black Hills of South Dakota, the park is home to a variety of wildlife and magnificent scenery spanning 71,000 acres. 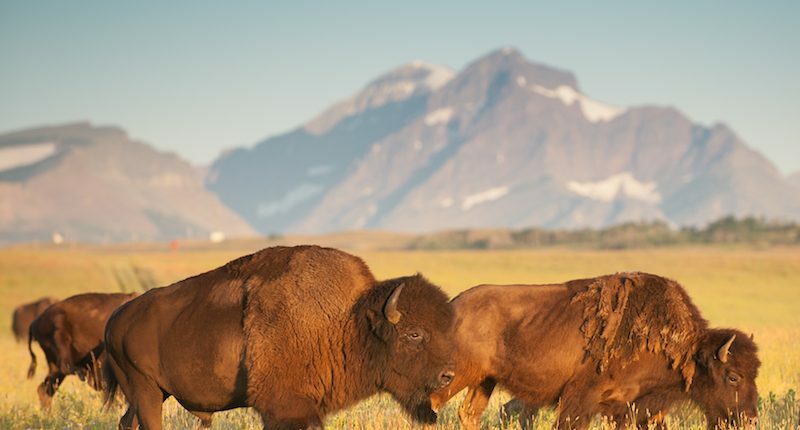 Nearly 1,300 bison, commonly called buffalo, roam the prairies and hills of Custer State Park, which they share with swift pronghorn, shy elk, sure-footed mountain goats and curious burros. Visitors often enjoy close encounters with these permanent residents along the 18-mile Wildlife Loop Road that winds around the southern edge of the park. Bighorn Canyon National Recreation Area was established by an act of Congress on October 15, 1966, following the construction of the Yellowtail Dam by the Bureau of Reclamation. This dam, named after the famous Crow chairman Robert Yellowtail, harnessed the waters of the Bighorn River and turned this variable stream into a magnificent lake. Bighorn Lake extends approximately 60 miles through Wyoming and Montana, 55 miles of which are held within spectacular Bighorn Canyon. The Recreation Area is composed of 70,000+ acres, which straddles the northern Wyoming and southern Montana borders. Bighorn Canyon National Recreation Area is a lesser known treasure waiting to be discovered. It boasts breath-taking scenery, countless varieties of wildlife, and abundant recreational opportunities, such as boating, fishing, ice fishing, camping, and hiking. Bighorn Canyon offers visitors what few other National Park areas can, that of solitude, serenity, and beauty. In the midst of our chaotic world, this is a truly unique quality. This natural beauty on the Big Sioux River gave the city of Sioux Falls its name and, like a lot of places in South Dakota, it has a long history. Visitors enjoy the scenic beauty, as well as the remnants of some of Sioux Falls’ earliest buildings. In pioneer days the falls were tapped for water power to run the Queen Bee Mill, built in 1887. The foundation of the mill is still visible, as well as a hydroelectric plant built in 1908. These structures offer a glimpse into the area’s history, while the Falls Park Visitor Information Center, featuring a five-story observation tower and elevator, provides information on Falls Park and other Sioux Falls attractions. The premier trail within South Dakota’s state park system, this 109-mile jewel stretches the length of the Black Hills. It follows an abandoned railroad bed, and climbs gently into jagged cliffs and pine forests. The Mickelson Trail has a crushed limestone surface and wide path. It tops out at 6,100 feet but rarely exceeds a 4-percent grade (making it perfect for leisure riders). Trestle bridges and railroad tunnels add to the trail’s charm. You can start your adventure at any of 14 trailheads. There is a small user fee. The Maah Daah Hey Trail is a 144-mile non-motorized single track through the Badlands of North Dakota. 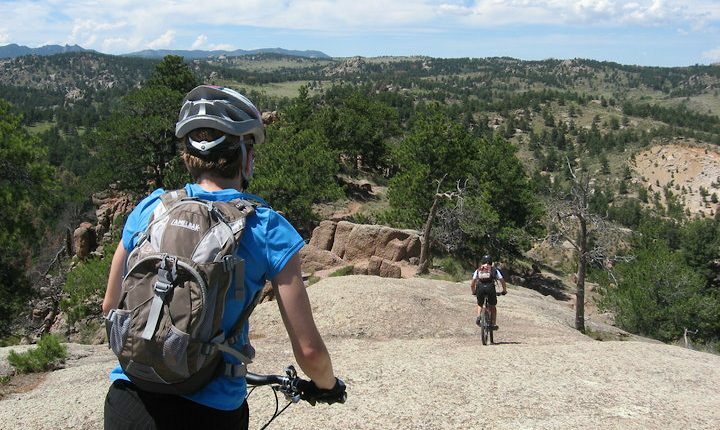 It is recognized as one of the top mountain biking trails in the US, and has been designated as an IMBA EPIC Ride. The trail runs from USFS Burning Coal Vein Campground 30 miles south of Medora, to the USFS CCC campground 16 miles south of Watford City. Nine fenced campgrounds are accessible by gravel surfaced roads. The campgrounds include camping spurs, potable water, hitching rails, picnic tables, fire rings and accessible toilets. They are spaced about every 20 miles along the trail. The MDH Trail is open year-round but it is best to check the weather before using the trail. Maps are available from the Forest Service in Dickinson, Bismarck or Watford City. Over 2.5 million visitors come to the forest each year to participate in outdoor recreation activities such as boating, fishing, camping, hiking, backpacking, horseback riding, cross-country skiing and snowmobiling. North to south, a band of shimmering water cuts the prairie in two. Reservoirs of abundant life, along with stretches of mighty currents, tease the imagination of outdoor explorers past and present. History and adventure abound along and on the waters of the Mighty Mo’. Free-flowing sections and four reservoirs – Lake Oahe, Lake Sharpe, Lake Francis Case and Lewis & Clark Lake – are prime spots for fishing, boating and water recreation. From kayaks to boats, it’s easy for visitors to rent a variety of vehicles to explore the water. Swimming and beach-lounging opportunities are readily available. River fishing is considered some of the best in South Dakota. Whether it’s the feeling of sun on your face as you cast a line or the thrill of pulling up a gilled treasure from a hole in the ice, the sensations produced by fishing here have a certain kind of magic. It doesn’t matter if you’re a pro angler, a weekend enthusiast, or a first-timer. The Missouri River offers year-round fishing opportunities for everyone. Come see why anglers travel from all over the world to fish on the river. At Lake Oahe, the powerful Oahe Dam controls the water surrounded by the lake’s 2,250 miles of shoreline. More than a million people annually visit the country’s fourth-largest reservoir. The Oahe Downstream State Recreation Area features the interactive Prairie Butterfly Garden, while West Whitlock Recreation Area attracts modern-day explorers and fisherman to the shores where the Arikara and Mandan people once camped. At Lewis & Clark Recreation Area, 417 shaded campsites and 17 cabins provide a temporary home for travelers looking to explore the area’s sandy beaches, hiking trails, beautiful chalkstone bluffs as well as the modern marina along Lewis & Clark Lake. Visitors to the “Mighty Mo” can also pursue the path set by explorers Lewis & Clark or enjoy bird-watching along one of America’s premier flyways. Take a perfect picture from one of the many incredible viewpoints along the Missouri National Recreational River, including Mulberry Bend Overlook near Vermillion or Chief Standing Bear Bridge near Running Water. 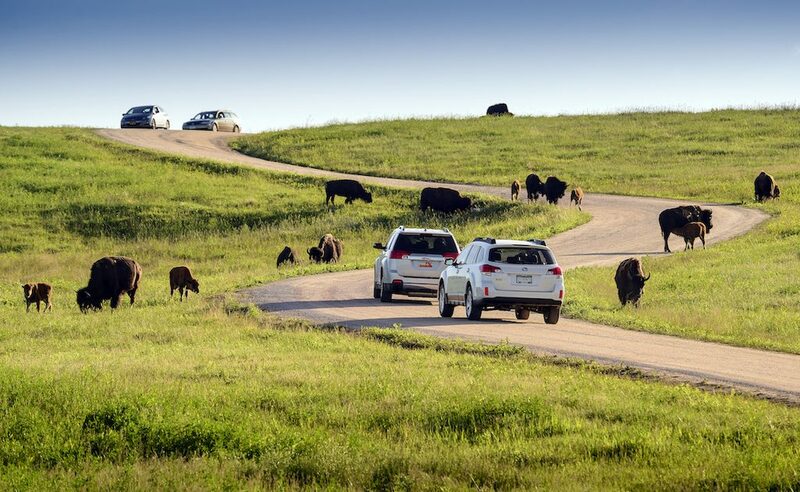 Learn about the area’s original residents by following the Missouri River through the lands of five American Indian tribes on the Native American National and State Scenic Byway. This route—which runs from the Chief Standing Bear Bridge on the Nebraska border to the North Dakota border near Kenel—takes highway explorers on a natural path cut by the Missouri River that features mixed-grass prairie, rolling hills, limestone cliffs, and an abundance of wildlife including prairie dogs, pronghorn, deer, bison, and elk herds. Along the way, travelers can stop and learn about tribal history and stories at the Akta Lakota Museum in Chamberlain, the Cultural Heritage Center in Pierre, the Narrows Historical Interpretive Area near the town of Lower Brule, and the H.V. Johnston Lakota Cultural Center in Eagle Butte. Travelers can follow the route through the lands of the Yankton, Crow Creek, Lower Brule, Cheyenne River, and Standing Rock Tribes, and experience a first-hand look at the life, ways and history of South Dakota’s original inhabitants. The newest addition to the route is Dignity, a stunning combination of art and history located along Interstate 90 near Chamberlain. The stainless steel, 50-foot-tall statue was specifically designed by sculptor Dale Lamphere to honor the cultures of the state’s native people. Western pioneers traveling on the Oregon Trail passed through Idaho as they followed the sweep of the Snake River in what is now Massacre Rocks State Park. See remnants of the Oregon Trail from either end of the park and read emigrant names scratched into Register Rock. In addition to its historical significance, the park is ideal for hiking and observing the plant and bird species that populate Idaho’s high desert landscape. 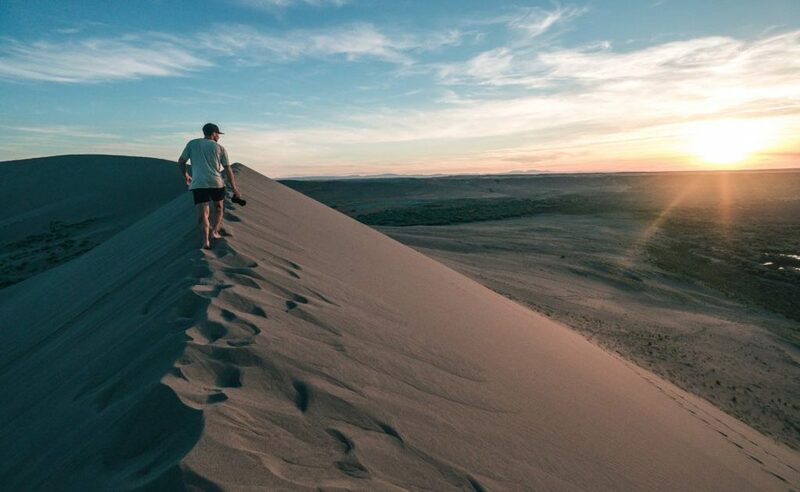 What do you do when you come across the tallest freestanding sand dunes in North America? Spend the day climbing the dunes and sled down on a rental sandboard. Take a hike around the park to investigate the Idaho desert. When night hits, visit the Bruneau Dunes Observatory to scope out the stars and moon. The park also offers the longest camping season in the Idaho Parks system, allowing for year-round camping opportunities.